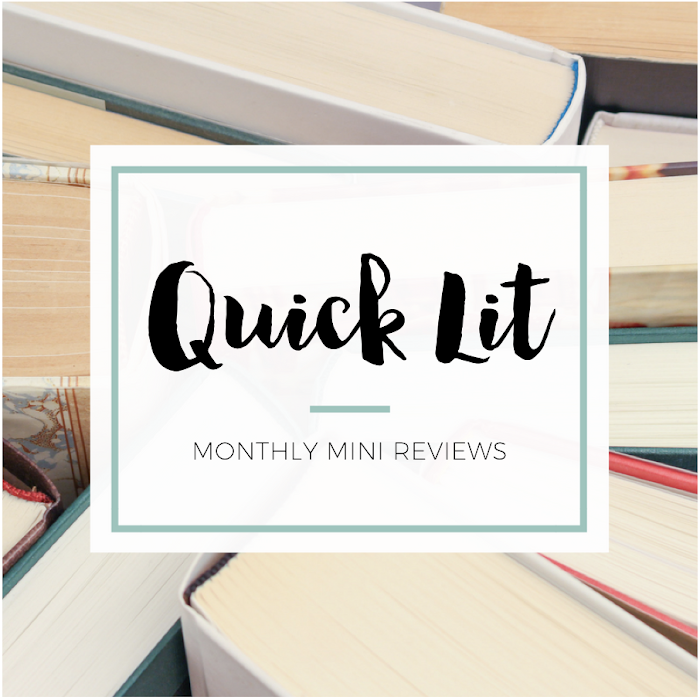 If you missed it, in February I recommended seven recent adult contemporary releases: Results May Vary by Bethany Chase, We Were on a Break by Lindsey Kelk, My Not So Perfect Life by Sophie Kinsella, Who's That Girl? by Mhairi McFarlane, The Young Wives Club by Julie Pennell, Eligible by Curtis Sittenfeld and The Hating Game by Sally Thorne. I also reviewed The Keeper of Lost Things by Ruth Hogan, which was lovely. I'll have reviews for three more books - Rules for Stealing Stars by Corey Ann Haydu, Close Enough to Touch by Colleen Oakley and Alanna: The First Adventure by Tamora Pierce - coming up later in the month. LAB GIRL BY HOPE JAHREN | I'm not a science person, but Lab Girl was on my radar due to all the excellent reviews I'd seen. I was so excited to listen to it on audiobook, and it didn't disappoint! This memoir highlights a passion for the world around us, a dedication to uncovering mysteries at the tiniest level and the way a friends can push each other towards greatness and become family in the process. Jahren's love for science is interwoven with the story of her life, and it made for fascinating reading. It was outside my comfort zone, but I thoroughly enjoyed the writing, the science, the sense of adventure and Jahren's narration. And I'll never look at plants quite the same way again! It was a little tedious at times, but I So Enjoyed It overall. HAMILTON: THE REVOLUTION BY LIN-MANUEL MIRANDA AND JEREMY MCCARTER | At the end of 2016, I finally caved to the hype and listened to Hamilton. Y'all, I get it now. Can you say obsessed? I've had the Original Broadway Cast Recording and the Mixtape on repeat ever since, so the only logical next step was the dive into the book. I spent a few weeks slowly reading through it, and I have a whole new appreciation for the musical now! I was already astounded by Miranda's talent, but the book just reinforced his creative genius. I loved learning about his writing process and inspiration, and it was amazing to see how everyone brought his vision to life on stage. I So Enjoyed It, and now I'm dying to go to New York City to be in the room where it happens! 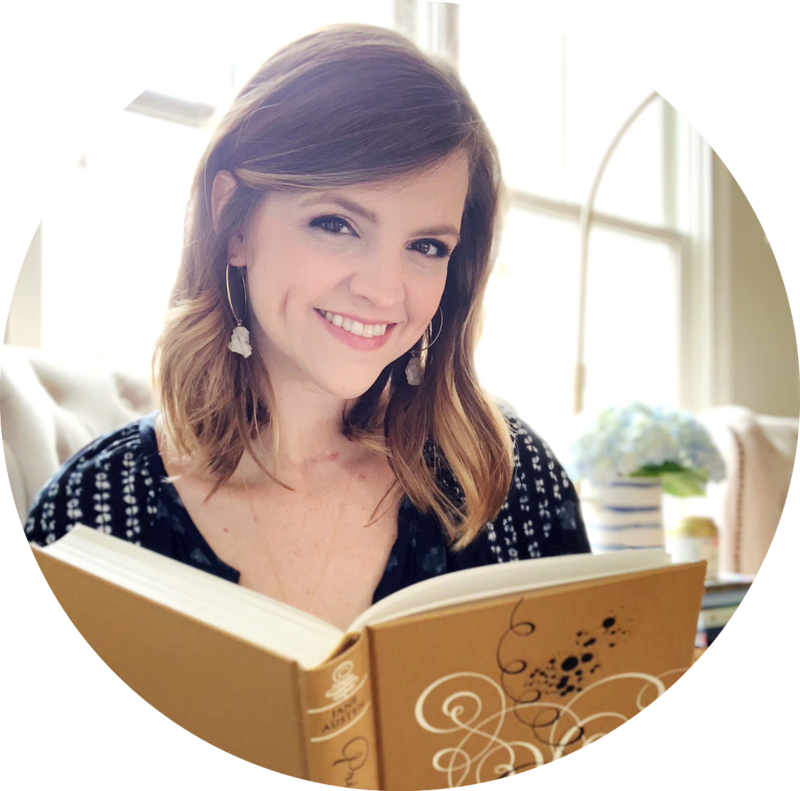 THE GUERNSEY LITERARY AND POTATO PEEL PIE SOCIETY BY MARY ANN SHAFFER AND ANNIE BARROWS | The first time I read this book was long before I started blogging. I remember loving everything about it! I'm not a huge fan of epistolary novels in general, but the format just works so perfectly for this story. I knew it was time for a re-read and settled on audio based on reviews. That was an excellent decision! The audiobook has multiple narrators, and they're all fantastic and brought the story to life in a whole new way. I felt like I was the one receiving the letters! I loved these quirky and lovable characters, the charming Guernsey setting, the format and the picture of how stories bring people together. What a delight, and I'm So Obsessed With It. THE NIGHTINGALE BY KRISTIN HANNAH | I've owned this book since it came out in February 2015, but I never made it past the first chapter whenever I'd pick it up. There isn't anything wrong with the beginning - I'd just always set it aside and think Maybe later. But when the audiobook became available at my library, I decided to try again. And this time, I was hooked! I could not stop listening to the story - the narrator was wonderful, but it was the story that was absolutely unforgettable. Vianne and Isabelle are living in France during WWII, and they both fight to survive in different ways. I laughed, I cheered, I gasped, I cried... it was an emotional reading experience, to say the least! This was a riveting and heartbreaking read, and I'm So Obsessed With It. THE OPPOSITE OF EVERYONE BY JOSHILYN JACKSON | The first book I read by Joshilyn Jackson was a total bust, and I never finished the second one I attempted. But I was determined to try one more time! Jackson's writing is engaging and her characters are vivid, but there was still something about the story that wasn't quite right for me. Paula Vauss is a divorce attorney in Atlanta who is still dealing with scars from her childhood. The blend of Southern storytelling and Hindu mythology and the shifts between the present day and Paula's past were occasionally frustrating. That being said, I did enjoy the way it explored family, guilt, forgiveness and new beginnings. It was an odd read, but I thought about it long after I'd finished. So, I'd say I So Liked It. DARK MATTER BY BLAKE CROUCH | Last year, I signed up for Book of the Month Club because they had a special offer that I couldn't resist. I thought it would be a fun way to read something that I might not pick up otherwise. This title definitely falls into that category! It's a blend of thriller and sci fi, and it reminded me of a darker and more twisted version of Maybe in Another Life by Taylor Jenkins Reid. It's gotten rave reviews, and I definitely couldn't put it down once I started! I liked the main character, Jason, and was caught up in his race to uncover the truth of what's happened to him. Try to avoid spoilers for this one! Although the science element went over my head, I loved the relational aspects of the story. I So Enjoyed It but found the ending unsatisfying. THE HIDDEN GALLERY BY MARYROSE WOOD | I read the first book in this series, The Mysterious Howling, last year because I loved the cover. The summary sounded cute, sure, but I truly picked it up for superficial reasons. Thankfully, it turned out to be utterly delightful! I knew I wanted to continue the series and was thrilled to see the audiobook available through my library. It's read by Katherine Kellgren, and I can honestly say she's my absolute favorite narrator. The book is delightful on its own, but she added so much to it! Although the plot is a bit thin and the mystery at the heart of the series is unfolding a little too slowly, the characters are so engaging and the writing is so clever. This book was just so much fun, and I So Enjoyed It! FINDING AUDREY BY SOPHIE KINSELLA | After falling in love with Kinsella's latest adult release, My Not So Perfect Life, I decided to try this book next. I bought the hardcover at a bargain bookstore but ended up borrowing the audiobook from the library. It's narrated by Gemma Whelan, and I thought she did a nice job. This book is the story of a girl, Audrey, who is suffering from social anxiety and is trying to face her fears and move forward with her life. The subject matter was more serious than I would have expected from Kinsella, but I felt she handled it really well. But there was also her trademark humor, which I loved, and a quirky and endearing cast of characters. I was rooting for Audrey from the very start! This was such a gem, and I So Enjoyed It. I love this idea!! I've started doing mini reviews once a week myself. Sometimes it's hard to keep up and sometimes I just don't have as much to say about a particular book so it's nice to mix it up :) Guernsey is such a lovely little book and I'm very excited to read the newest Kinsella! Ahhhh I've flipped through my Hamilton book and it is just the BEST. I need to read it cover to cover :) Listened to Hamilton while I cleaned the kitchen today haha. I'm not sure if I want to read Finding Audrey because it's more serious but I'm glad to hear that it's done well. I've actually done lots of reading this weekend, which is nice! Georgia Peaches and Other Forbidden Fruit, and The Upside of Unrequited- both of which I enjoyed. I loved Guernsey and The Nightingale. I'm pretty much a sucker for WW2 books. I love The Guernsey Literary and Potato Peel Society — I hadn't thought about rereading it on audio. Thanks for the suggestion! "inability to write about what I've read in a timely manner" - I would also this is my worst blogging habit. It's too easy just to run on to the next read! This seems like a good way to combat that problem. I LOVED Guernsey Literary and PPP Society! One of my favorite WWII novels! I've had The Nightingale as a Kindle book for ages now, and still haven't gotten to it! I feel like that's such a travesty considering the fact that it sounds like something right up my alley. I'm thrilled to hear you loved it and can't wait to read it myself!